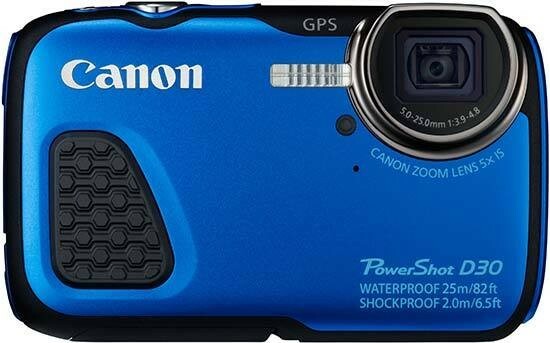 Listed below are some of the rivals of the Canon PowerShot D30. The Fujifilm FinePix XP60 is a tough water, freeze, shock and dust proof 16 megapixel compact camera. The XP60 also offers 1080i HD movies, a 5x zoom lens and a 2.7 inch LCD screen. Read our expert Fujifilm FinePix XP60 review to find out if this is the right camera for all your family.